The Minnesota Twins are still very much a team in transition. The organization has made moves to both revamp, and rebuild over the last six years as the Twins have failed to make the postseason since 2010. Only one year since the 2010 season have they finished above .500. Looking ahead to 2017 the Twins don’t seem like much of a team ready to contend. However they do play in a very weak division of the AL Central which should allow the Twins to get some victories, The Twins finished just about league average at 16th in runs scored a year ago. The heart and sole of the Twins offense is Second Baseman Brian Dozier. Dozier is among the game’s best second basemen. The 2015 All Star batted .268 with 42 Home Runs and 99 RBIs big power numbers not just or a Second Basemen but for playing 81 games at pitching friendly Target Field. 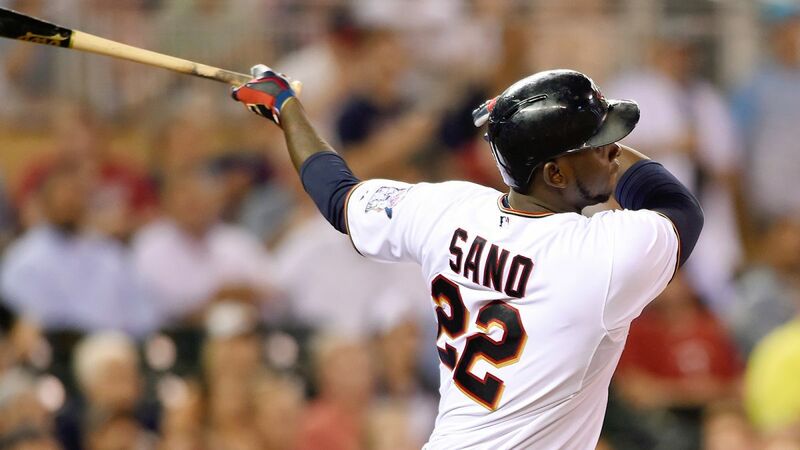 Along with Dozier the Twins do have Miguel Sano who hit 25 Home Runs in 2016. They also have a veteran leader in long time Twin Joe Mauer who is in decline but finally stayed healthy for a good chunk of 2016. Outside of these three there isn’t much to write home about for the Twins. Former number one prospect in all of Baseball Byron Buxton has been nothing but a big bust and no one else in the Twins lineup should rattle any pitcher. The Twins starting rotation had the worst ERA of any starting rotation in the majors a year ago and yet they did nothing to upgrade that rotation this offseason. The Twins will need to heavily lean on veterans Ervin Santana and Phil Hughes to step up. Santana had a solid 2016 unlike the rest of the Twin starters pitching to a 3.38 ERA. Phil Hughes On the other hand had a horrible 2016 making just 12 starts with an ERA of 5.95 in those starts. He is only two years removed from a 2014 where he had ERA of 3.52 so if he can get back closer to that mark he can be a solid starter for the Twins. A big key for the Twins in 2017 will be former Angels All star Hector Santiago. Santiago struggled in 2016 pitching to an ERA of 4.70 in a season split with the Angels and Twins. He however is one season removed from a 2015 All Star campaign where he went 10-4 for the Angels. If Santigo can find his former All Star form the Twins rotation will greatly improve in 2017. If not they may go back to back years of finishing a league worst. As for the bullpen the Twins will not have there star closer Glen Perkins right away due to a torn labrum injury but when he does comeback they will have one of the game’s best closers. In his place for the time being will likely be Brandon Kintzler with notched 17/20 save opportunities while filling in for Perkins last year. Knitzer pitched to a 3.15 ERA over 54 relief appearances. The Twins Bullpen also has Ryan Presley who had 67 strikeouts out of the bullpen a year ago. When Perkins get s back look for the Twins bullpen to be able to close out games pretty well down the stretch when given a lead. This 2017 may be another long one for the Twins. The hope will be to see which players on the current roster can be a part of the next playoff core in Minnesota. Posted in Minnesota Twins, MLB and tagged 2017, AL Central, Brian Dozier, Glen Perkins, Minnesota, Minnesota Twins, MLB, Power Rankings, preview, Twins.